We stumbled upon a picturesque resort overlooking the valleys of Matheran and the architecture of it got us all awe-struck. 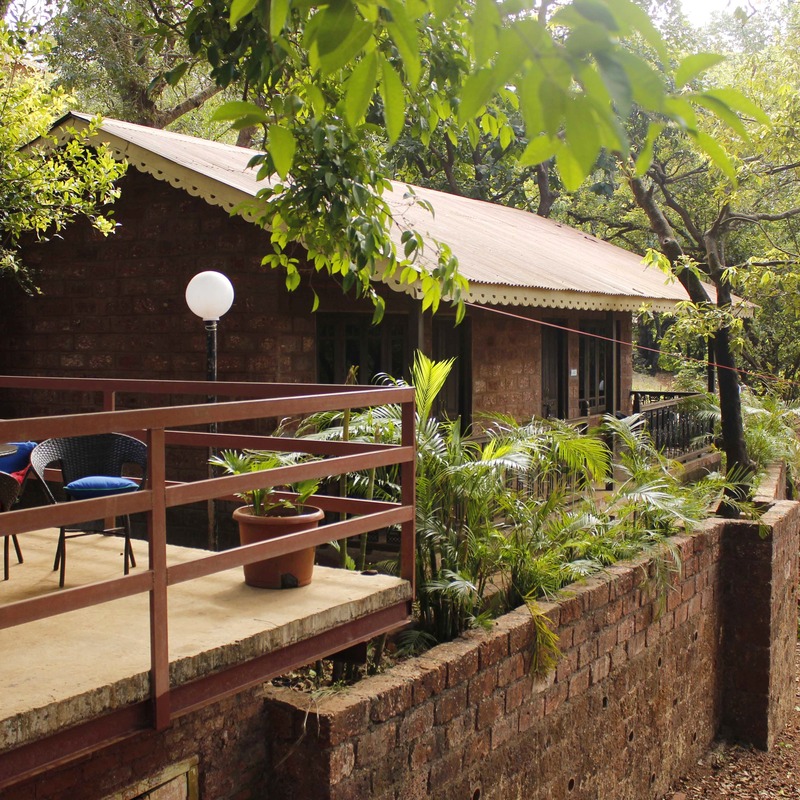 With its British colonial style architecture in fine laterite stone, Radha Cottage is what dreams are made of. For starters, the property is located away from the bustling market of Matheran, so there will be enough privacy and tranquillity for you to enjoy. Their duplex luxurious cottages called Rose, for INR 3,000 a night (per person) have tall French windows that open up to a verandah, where you can unwind while sipping in some hot chocolate on a cold night. If you're getting your tiny tots along, be assured about them having fun at the children's play area. Radha also provides you with an open-air badminton and volleyball court, where you can enjoy a game or two with friends or family members. And during vacations, or long weekends, magic shows and entertainment nights are conducted in the cottage's lawn. Sounds like a relaxing weekend plan already, doesn't it? Their in-house dining room is called the Revlon Forest, that serves delectable Maharashtrian food. They also cater to customised menu or cuisine requests, but only on prior notice. So you may want to call them up before you reach, to enjoy a hearty meal!